Do you wear your Apple Watch daily and want to spice things up a bit? 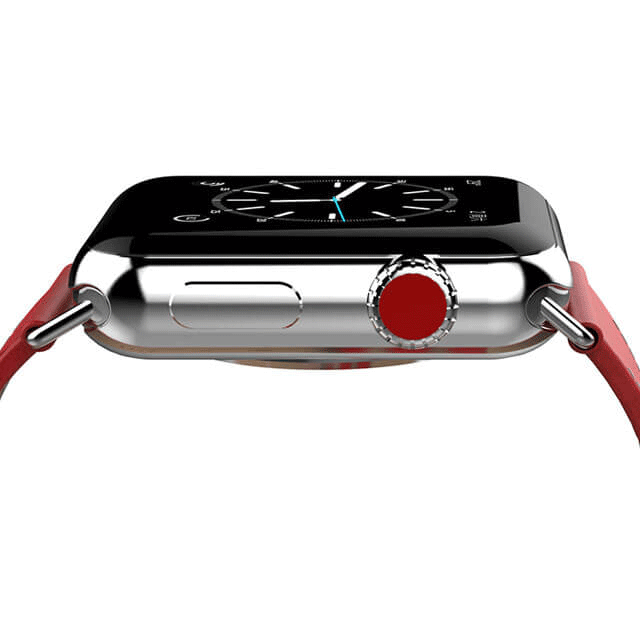 Buying a unique band will allow you to personalize your apple watch without breaking a bank. Also, you’ll be able to get something that fits your style and matches and complements your everyday outfits. 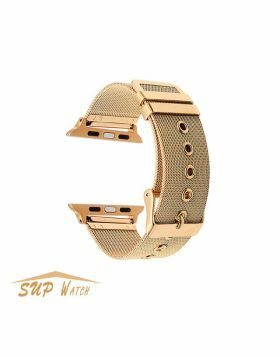 We compiled a list of best cheap third party apple watch bands, which are a combination of great price and exceptional quality. These bands are forged with durable materials and secured with unique buckle systems, so you don’t have to worry about losing your watch while on the go. And to ensure you’ll find something for your self, we picked different styles and color options. Keep reading if you’re ready to find the most stylish band for your Apple watch. 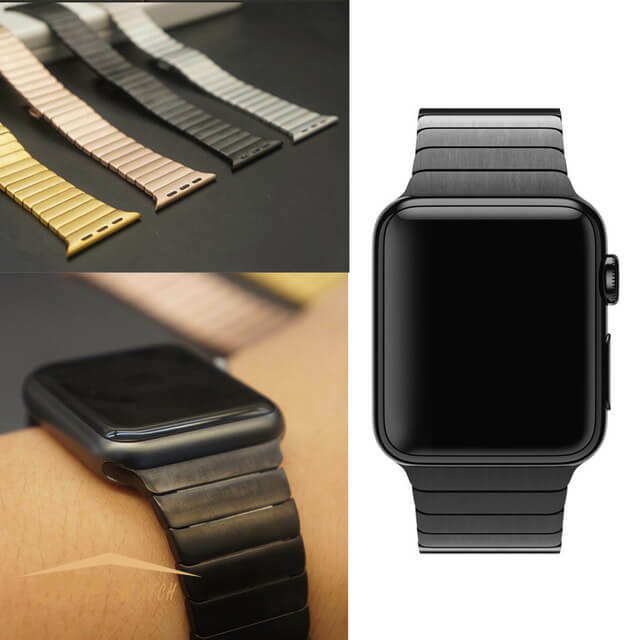 If you are looking for a durable and classic genuine leather band for your Apple watch, then you should consider this new leather band. It is forged with 100% genuine cowhide leather. This material is very easy to clean, and you can get rid of small scratches using only a soft cloth. 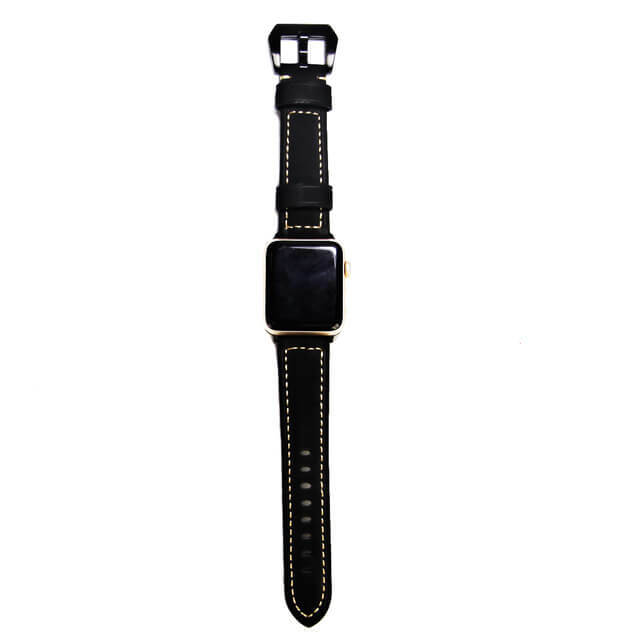 Another benefit of this leather band is that it is effortless to install, due to the simple adapters on both sides. Black-tone Stainless steel buckle allows you to secure your watch firmly without overcomplicating the process. 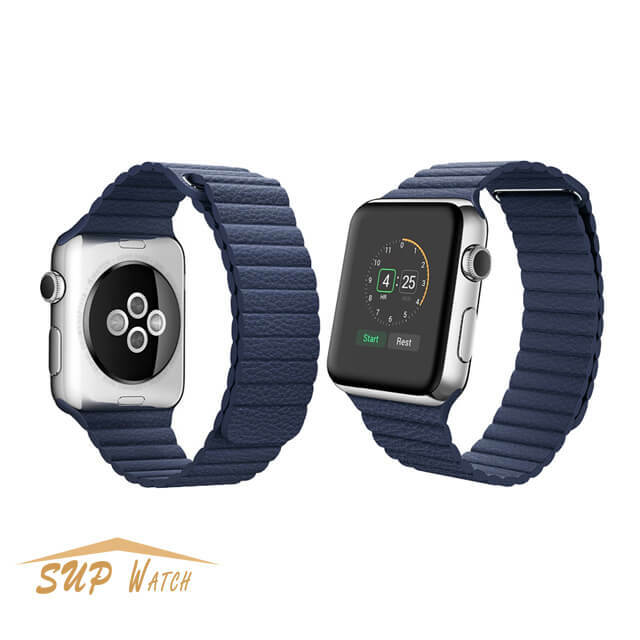 This leather band is compatible with the Apple watch series from series 1 to 4, so you won’t have to invest in a new band if you choose to buy a different watch. The band length is 22 cm, which should suffice for most users. Choose between classic black colors and wear your Apple watch in style. You don’t have to spend hundreds of dollars for a luxury apple watch band. This product proves it, as it has all the features of a premium band for a cheap price. It was produced through a tested and detailed process and is made of stainless steel. Thus, you don’t have to be afraid it will get rusty, and you can expect it to serve you a long time. The butterfly closing clap will keep your band secured without loosening up automatically like some cheaper bands tend to do. The band is compatible with all Apple watches, and it will spice up your every outfit with its elegant and classy design. 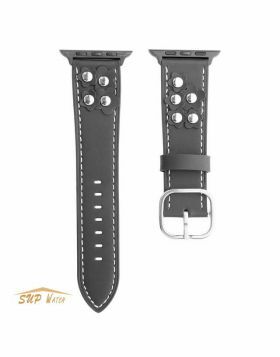 If functionality is the primary feature you look for, then consider this leather band. 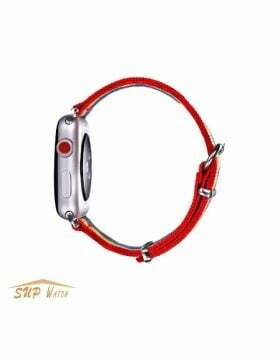 You can quickly secure it and adjust the size with the magnetic clasp. It will stay secure even in the most rigorous activities, so if you are a sports enthusiast, it is the best option for you. It is made with soft and stretchy leather for added comfort. The lugs on each end of the band will fit your Apple watch perfectly, regardless of the series and editions. 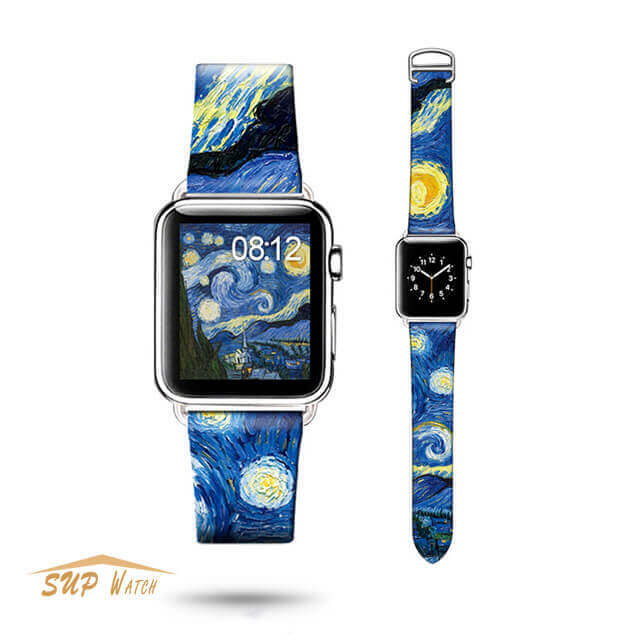 Stand out in the crowd with this band inspired by Van Gogh. Appearance isn’t its only advantage, as it is also made with quality genuine leather. Therefore, you’ll get style and durability in one product, and all that for an affordable price. 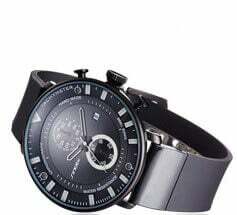 The folding clasp has double locking locks and will keep your watch secure. Regarding the compatibility, it will work with all Apple Watch series and sizes. Before making that purchase, there are a few things you should consider. Firstly, think about your daily outfits and if your watch fits your style. You don’t want to end up buying a band that you can wear only on special occasions. Secondly, consider the price. All Apple watches on this list are cheap, but the prices still vary a bit. Find the one that suits your budget the most. And finally, also examine materials. Some of them are great for everyday use, while others are made with sports enthusiasts in mind. If you wear your Apple watch in every occasion, then choose a band with features that allow versatile use. In the end, go for an option that had that “wow” effect on you as soon as you saw it, and since we chose only quality products on this list, we’re sure you won’t regret your decision.